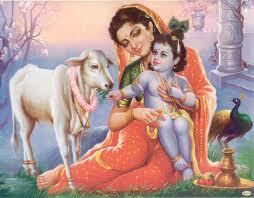 The birth day of Hindu god Krishna Bhagaban. The festival Krishna jnmastami is celebrated on the eighth day (Ashtami) of the Krishna Paksha (dark fortnight) of the month of Bhadrav (August–September) in the Hindu calendar. Swami Lkhamnananda Sarswati Balida divas come in that day who brutally murdered by some anti social activist in his Ashram premises. Sanskar Bhrati observsit with Krushna Bhesa prtiyogitq in every corner of the land . This entry was posted in news and tagged Janmastami, Shrikrushna Janamastami. Bookmark the permalink.